Today is the day! Mehndi Medallions & Hooked on You are now available at Wplus9. I've got some more Mehndi Medallions to share with you today... Stamped the largest medallion in Fresh Snow onto a kraft panel and rounded the top corners. Layered one of the sentiments (from the same set) and leaves (from Woodgrain Silhouettes Additions) over the medallion, embellished with a pearl and attached it to the top of a white card base. 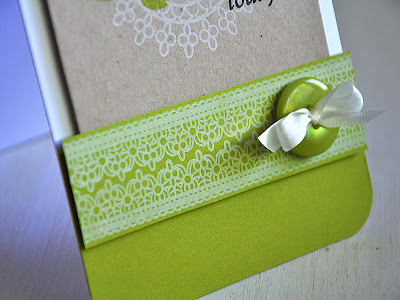 Created a lacy pattern trim by stamping the Mehndi border image once (in Fresh Snow ink onto a Simply Chartreuse strip), then flipped the image and stamped it a second time. I really love the way this turned out! 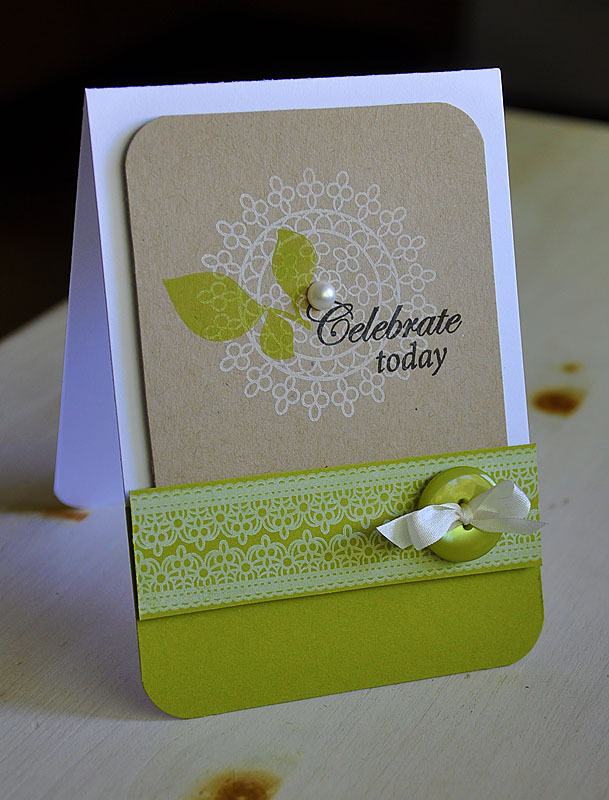 Attached Simply Chartreuse cardstock to the bottom of the card base, rounded the corners and covered the seam with the hand stamped lacy trim. Finished the card off with a Simply Chartreuse button strung with white silk ribbon. Hello all! 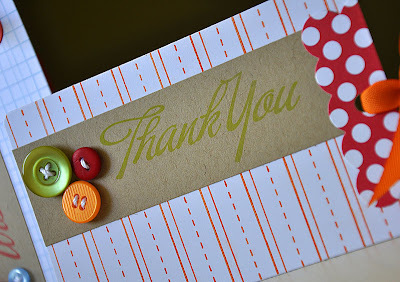 Just popping in to share a little Papertrey Ink goodness with you today. I love the newly released Friendship Jar & Friendship Jar Fillers! As soon I as I first laid eyes on the sets, I knew I wanted to play with this gorgeous bunch of flowers.... And stick them into one of these acetate jars, like the one created here, then wrap it with some white silk ribbon. I first stamped the flower bunch onto the kraft card base and colored the stems and leaves. 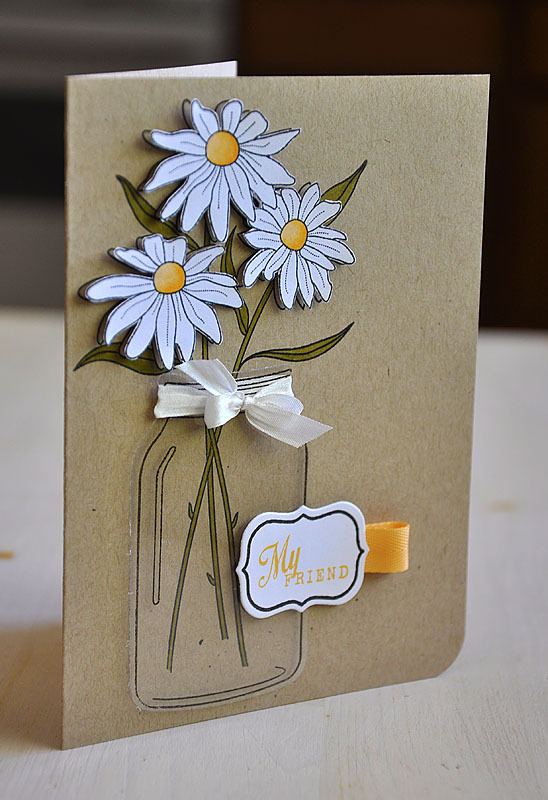 Then stamped again onto white cardstock, colored the centers, cut out and attached to the base with dimensional adhesive. 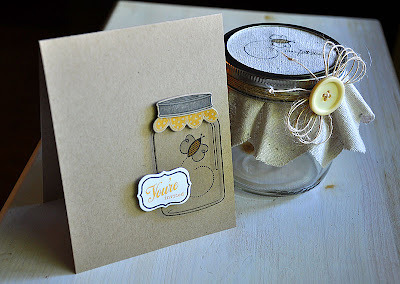 Finished it off with a sentiment stamped onto the coordinating Jar Label and then embellished it with a Summer Sunrise ribbon tab. 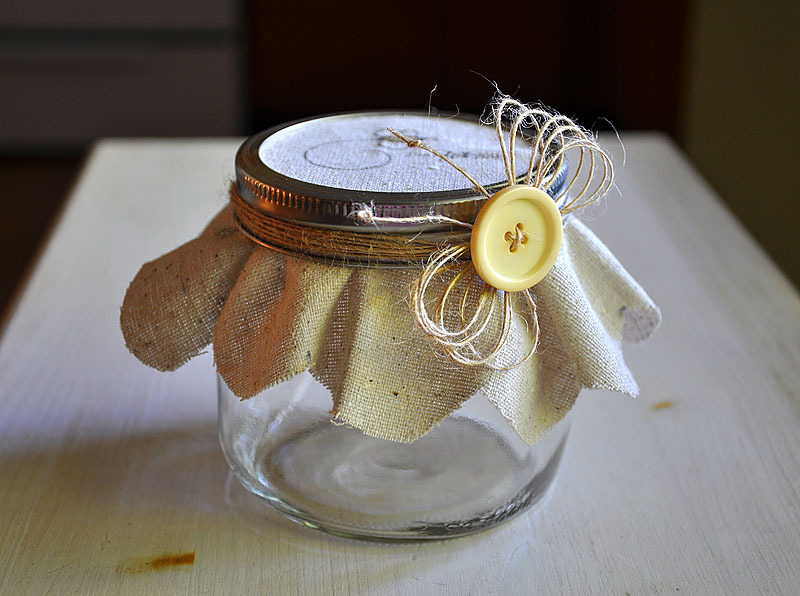 For some tips on creating this acetate jar, be sure to check out this blog post from earlier. Hope you all enjoyed, have a wonderful day! 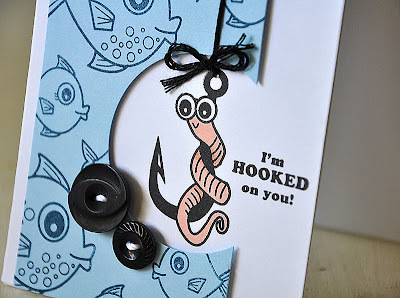 It's round two of the Wplus9 July release, and today I bring you a sneak peek of Hooked on You. Which is an adorable "under the sea" themed stamp set, created by the ever so talented and fellow Wplus9 design team member: Karrianne Gwin. This set contains 7 sentiments, 8 images & 1 background building image. For today's card, I've pulled out one of the sentiments and 4 of the images. How adorable are these images!... 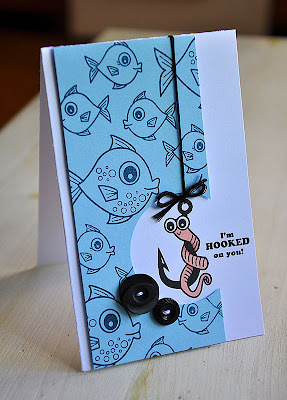 Using the three fish included in this set, stamped in Enchanted Evening onto Spring Rain cardstock, I've create this adorable hand stamped pattern paper. 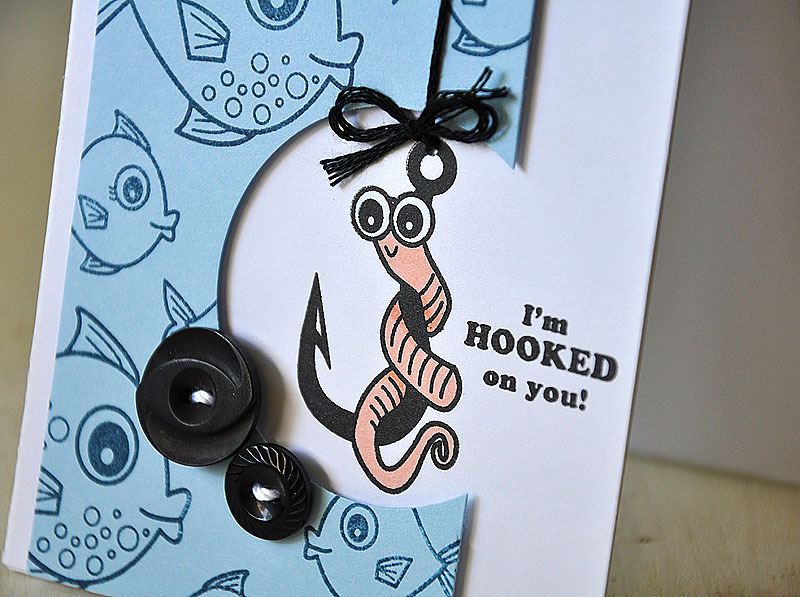 Thought these fish looked a little hungry, so I've thrown in a little hook and worm into the mix. Lol! Isn't this sentiment just too perfect?! Framed the worm and sentiment by partially punching a circle from the hand stamped pattern paper. Then finished the card off with some floss for the fishing line and a couple True Black buttons. 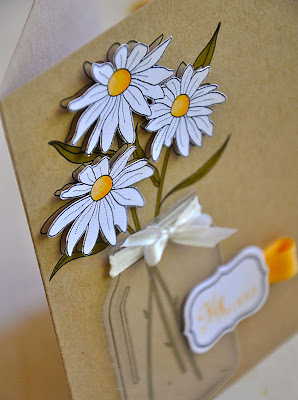 For more sneak peeks check out what Dawn and Karrianne have created for today. Also, Be sure to stop by Dawn's tomorrow, for the full reveal! Hope you all enjoyed and have a good one! Today is the first day of the Wplus9 July sneak peeks. So, I join Dawn Woleslagle to bring you Mehndi Medallions! Available on July 1st. It's an extremely versatile set that is so much more than just a "pattern" set. This set includes: 8 sentiments, 6 medallions & 1 border image. Today's card focuses on two of the sentiments and two of the medallions... The Summer Sunrise scalloped border was stamped and heat embossed with one of the smaller medallions and wrapped with Summer Sunrise twill ribbon. 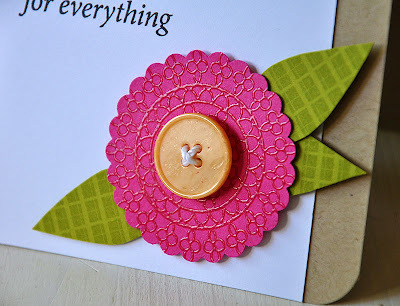 The focus of the card is this gorgeous medallion blossom. Created by heat embossing the largest medallion onto Raspberry Fizz cardstock. Then punched out with a scalloped circle punch and accented with a Summer Sunrise vintage button. The leaves were created using tree tops from Funky Foliage. 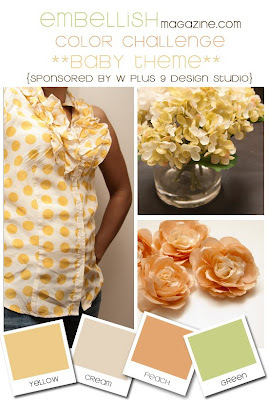 For more sneak peeks of July's Wplus9 sets, be sure to stop by and see what Dawn & Karrianne have created. Hope you all have a wonderful start to your weeks! Hello! Hope you all are enjoying your Friday! 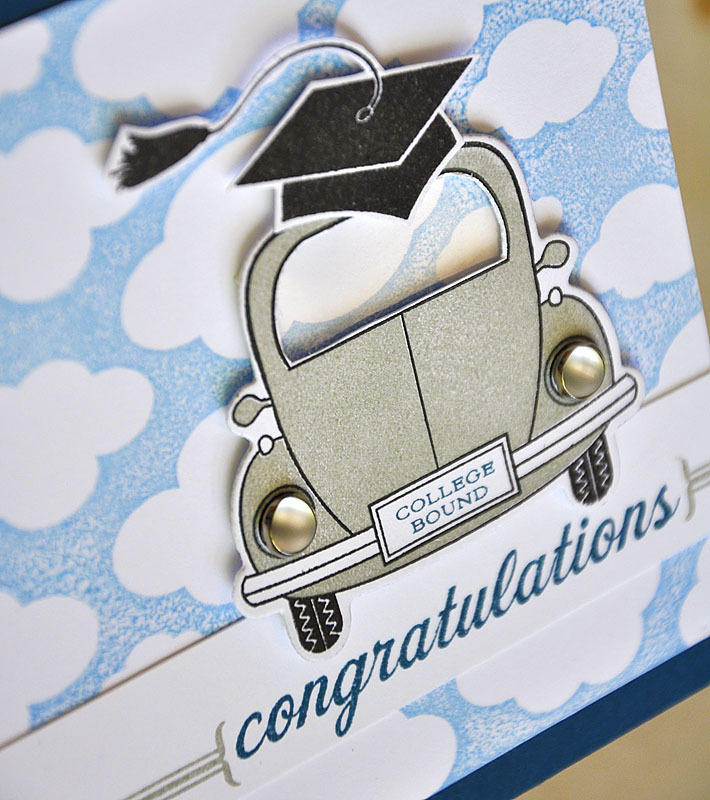 I've got a cute little graduation card to share with you today... 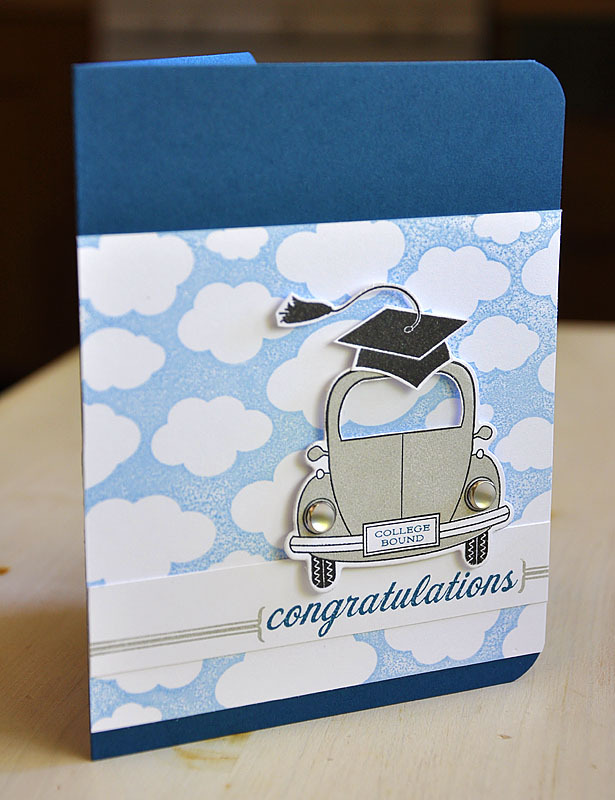 This is a combination of a hat from For The Graduate, car from Enjoy The Ride and clouds from Hero Arts Clouds background stamp. The wind shield was cut out using a craft knife and then, behind the opening, I adhered a piece of acetate. Used glass brads for head lights then, attached the car over a sentiment strip created by using a border (from For The Graduate) and a sentiment (from Enjoy The Ride). That's it from me today. Hope you enjoy your weekend! 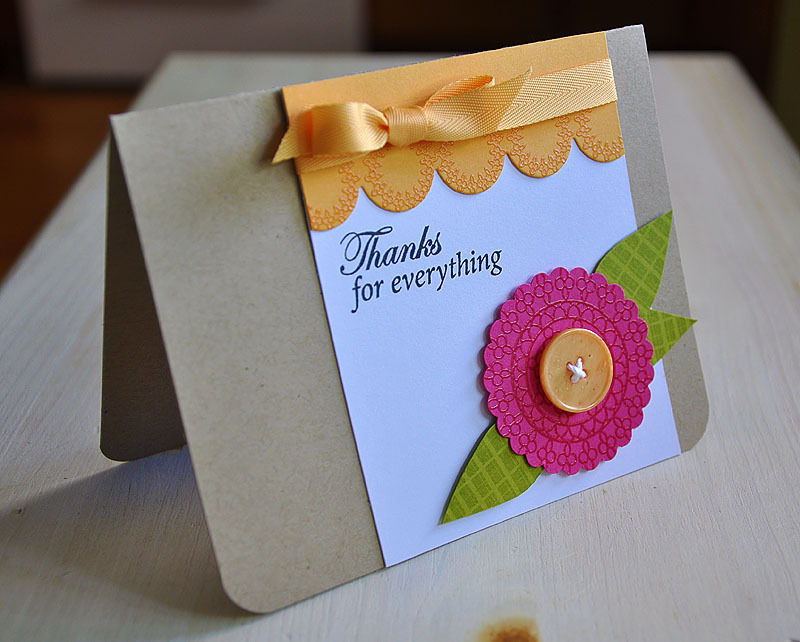 This card can be found in the issues A Few of Your Favorite Things feature, which showcases an amazing array of super creative projects using pretty ribbon, buttons and brads. 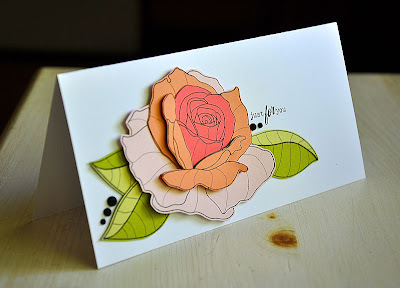 Another one of my cards can also be found here, as an online bonus project and as the inspiration for this gorgeous layout by Maggie Holmes. You can pick yourself up one of these amazing issues here. It's time for another Wplus9's "All Eyes On..."! The focus for this month is on ribbon and it's many uses, other than the usual bow. I chose to go with the ever so simple, ribbon tab. It's a "go-to" technique for me that makes the perfect quick and fun embellishment. 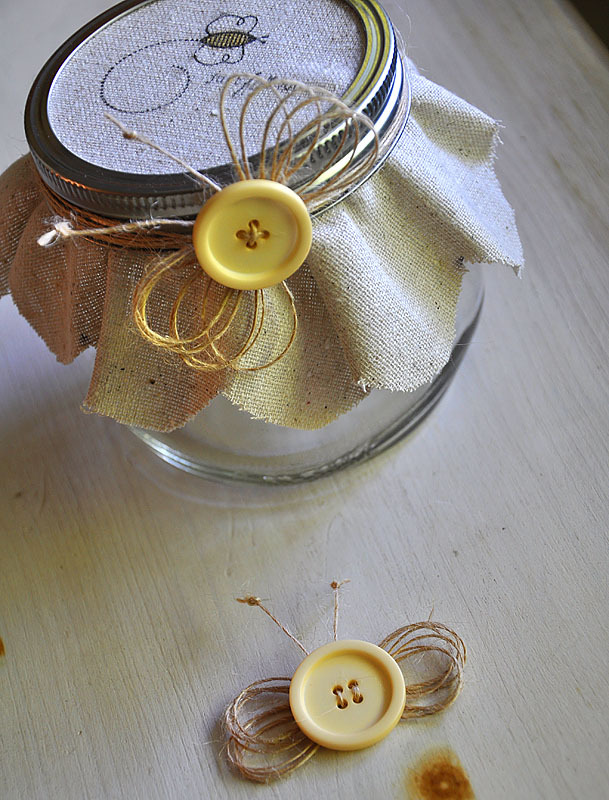 It's also a great way to save the ribbon that's on the roll or to use up a stash of ribbon bits. It only takes a couple inches of ribbon to create one simple tab. 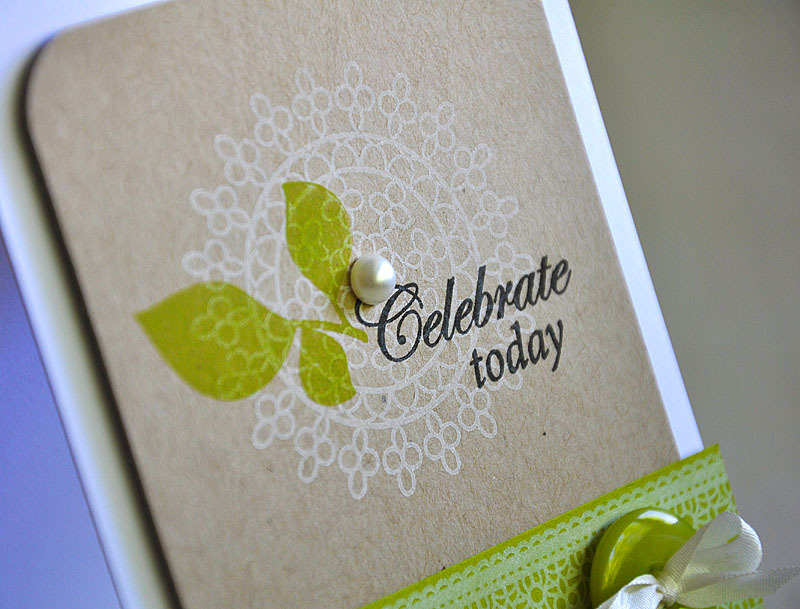 Started today's card out by stamping my focal image onto a punched circle. The sentiment is from Just A Note and the adorable singing bird is from The Birds & The Bees. Next, created the background heart strip using Background Builders: Hearts. Stamped rows of hearts in Plum Pudding, Raspberry Fizz & Sweet Blush. Then attached ribbon tabs, of the same colors, to the strip and adhered it all to a Smoky Shadow card base. 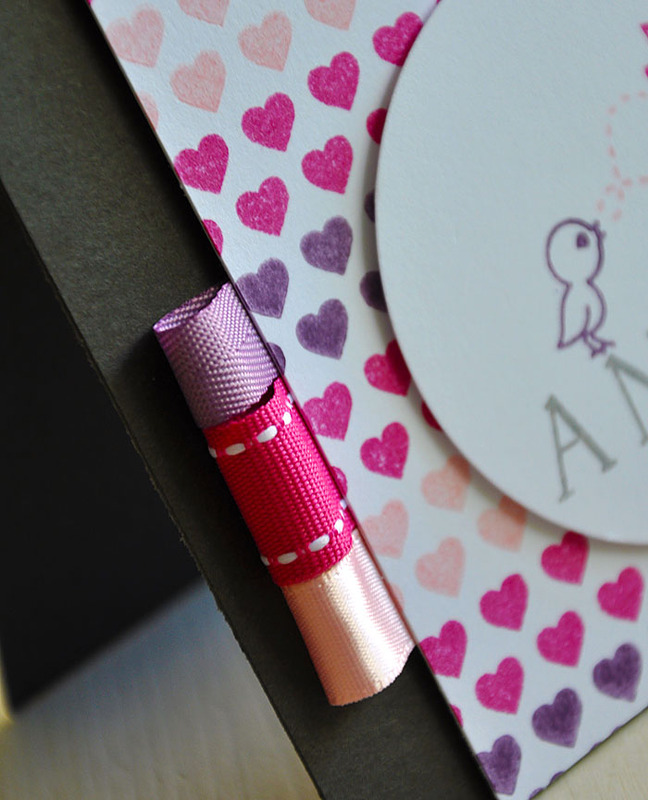 Here's A Tip: To make your ribbon tab embellishments a bit more interesting, try using more than one type of ribbon. 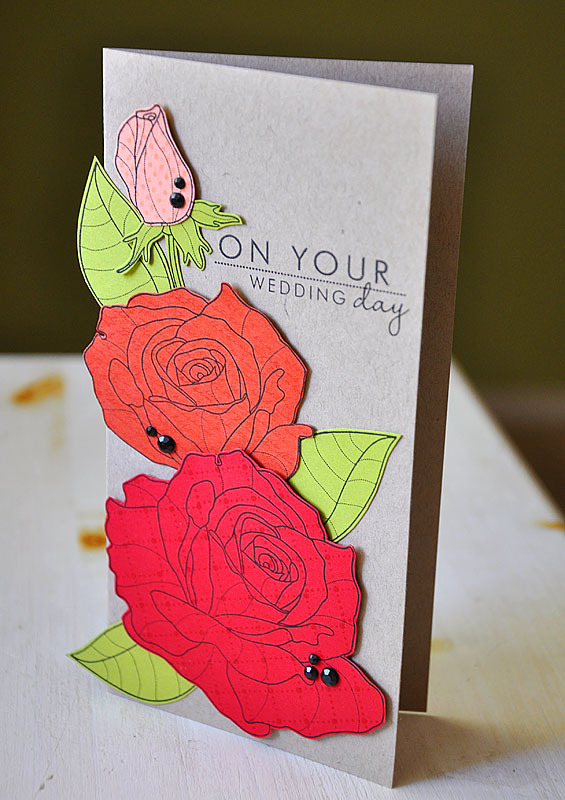 For example, on my card I've combined twill, saddle stitch and satin. Here's How: To create a simple ribbon tab, cut a 2-3 inch piece of ribbon. Using strong adhesive (Glue Dots or Scor-Tape will work perfectly), attach the ends together to form a loop. 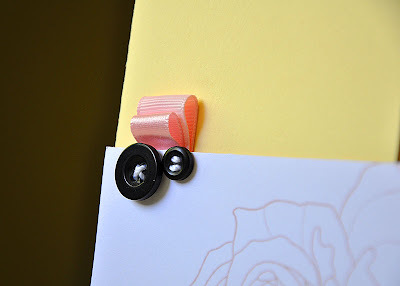 Then, simply adhere the ribbon loop to the back of your cardstock using another piece of adhesive. Other ideas for these ribbon tabs are to double up or layer the ribbon tabs like this (see first card on the post) and this. Or create a fun and colorful border like this. 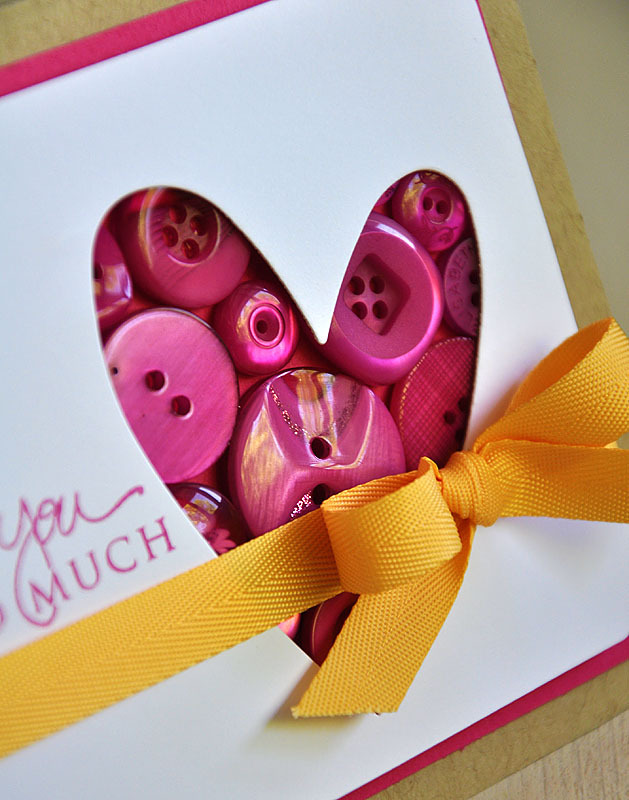 I hope we have inspired you to get crafty with your ribbons today! Have a great one! Hooray!!! It's Embellish Challenge time again! This time around the challenge is to create a project that uses the colors pictured above and is of a baby theme. Our sponsor for this week is someone that I consider a dear friend... Dawn of Wplus9 Design Studio! As a member of the Wplus9 design team, I can personally tell you that these stamps are top quality and stamp beautifully. 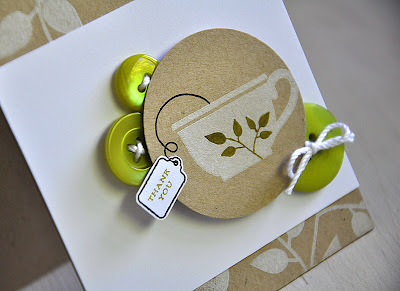 As for the stamp designs, you can tell that Dawn has put her heart and soul into creating them. They are so unique, amazing and easy to work with. 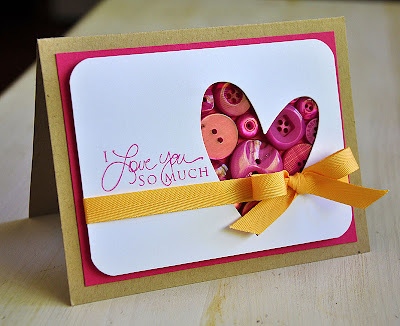 For my card, I've used Kisses & Cuddles and Design Basics: Backgrounds 1. Used one of the background images stamped in Versamark onto a Melon Berry cardstock strip. Wrapped it with Spring Moss satin ribbon and attached it to a Vintage Cream card base. 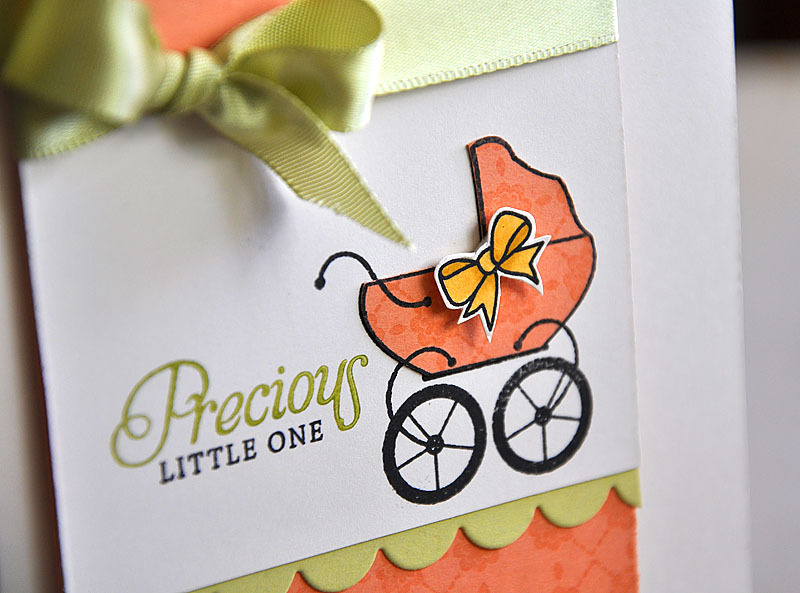 This adorable old style pram is from the Kisses & Cuddles set. Isn't it just too cute?! I paper pieced the pram to match the stamped Melon Berry strip and then embellished it with a cute little yellow bow. I love the sentiments in this set, they fit together so perfectly. 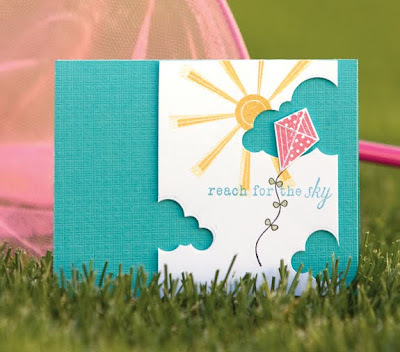 Which made stamping this phrase, in two different colors, a breeze! Now it's your turn to give this fun challenge a try! 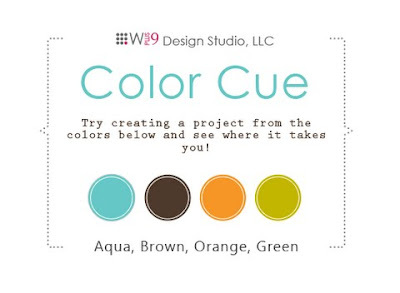 There's a fabulous prize up for grabs... two Wplus9 stamps of your choice! You can find much more amazing inspiration and the challenge details here. Hope to see your challenge creations soon! Hello and happy Thursday! Today, I'd like to share some super exciting news... I am so extremely honored to have been selected as this months CARDS Designer Of The Month!!! 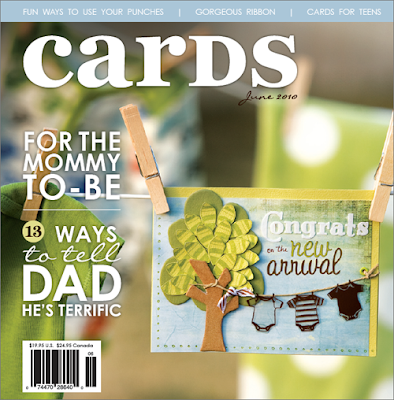 Inside this June 2010 issue you will find 5 cards I've specifically made for this issue. I've also shared a few of my favorite tips and a bit about myself. Over at the CARDS blog they have also featured this additional card... Which I created just for the CARDS blog. So, if you hop on over you can find all the details and instructions. If your interested in picking up a copy for your self, you can find it here. Thanks to CARDS magazine for this amazing opportunity and to the wonderful friends who have already left me some love over at the CARDS blog. You all are so sweet! Hi there! 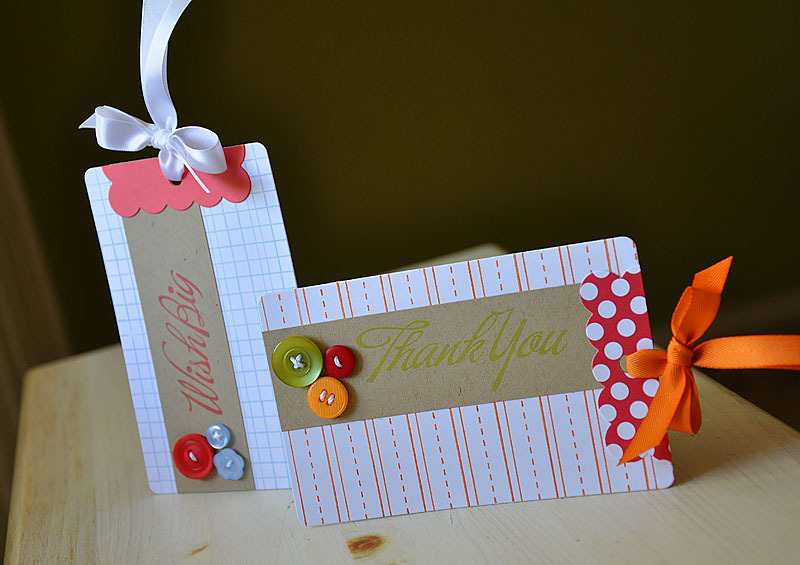 I've got the rest of my Papertrey Ink Release goodies to share with you today! Here is Lisa's new gorgeous set, Flutterby Friend. Loving this set! 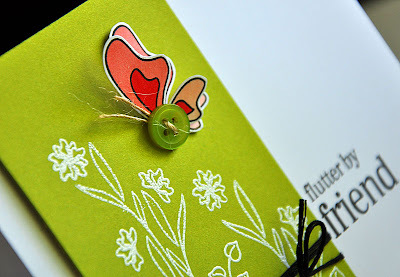 I've heat embossed the foliage on the base of a Simply Chartreuse cardstock block, then wrapped it with black embroidery floss and embellished it with a fluttery butterfly. This fluttery butterfly started out as two stamped butterflies. 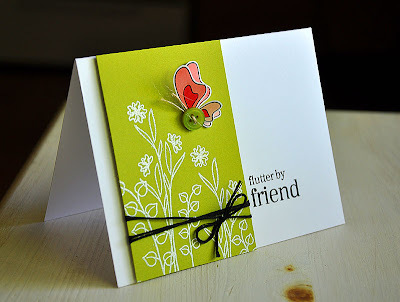 Stamped the butterfly twice onto white cardstock, colored only the right sides of each butterfly and then cut each colored half out. Then attached the two sides together (so that both colored wings faced out) and then attach the button body. The pattern on the back panel of the card base only showed when the card was closed. 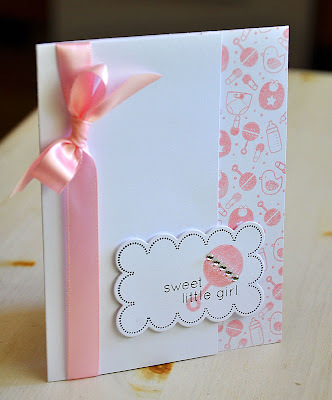 The hand stamped pattern was created using one of the adorable border images from the Night, Night Moon set stamped a few time in Sweet Blush. Here is a close up of the jeweled baby rattle. Melissa's new sets for this month are All About You & All About You Additions. Again, I cut the front panel shorter than the back. 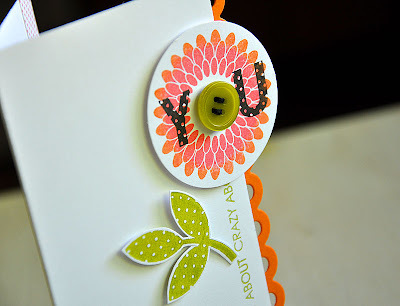 Created a flower stem by stamping "crazy about" multiple times along the edge of the card base. Inked up the large solid flower image first in Berry Sorbet and then rocked and rolled it into Orange Zest ink. I love how this give the flower a gradient transition between colors! These coffee cups from Nichole's set Tea For Too Additions are just too cute! This one cup in particular coordinates with a old favorite of mine... Beautiful Blooms. Stamped the leaf image from Beautiful Blooms in Fresh Snow onto the kraft base. After stamping the tea cup I gave it a pop of color with a Copic Marker and a few buttons. To finish things off, here is a set of fun tags using Heather's final set from this release called Mini Scrapbook Series: Library Ledger. Die cut the tags using the coordinating Library Card Tag Die and then stamped each one using one of the background patterns include in the stamp set. 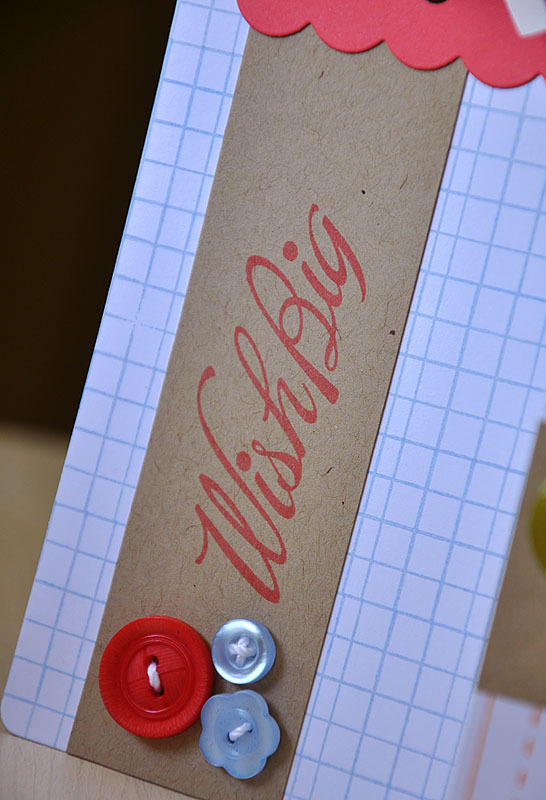 Gave each tag a topper using half of a Fillable Frames #5 die cut. And there you have it! All of the supplies used are listed in the the Papertrey Ink gallery. Hope you all enjoy the new goodies from yet another fabulous release! I'd love to hear what you guys are looking forward to receiving the most! If you'd like to share of course. 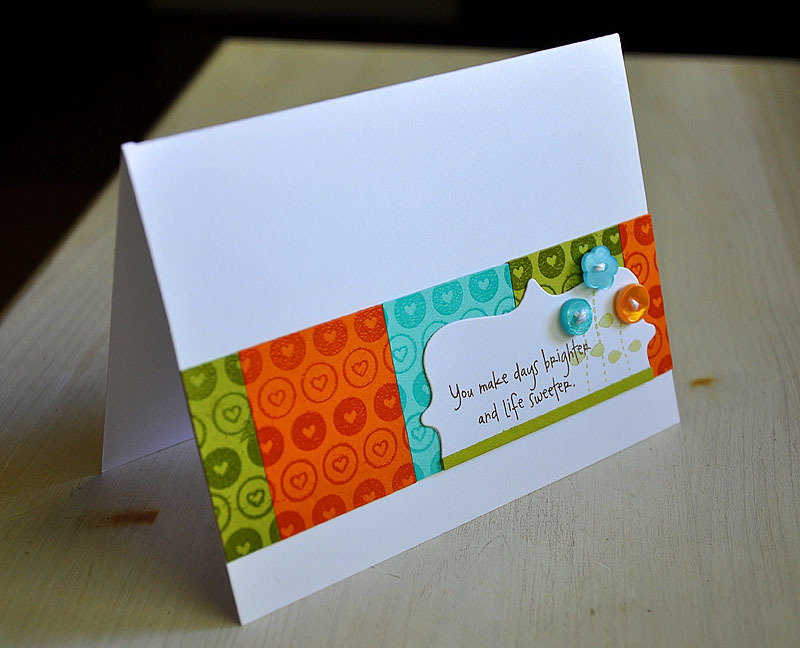 Started off by creating a colorful strip of Simply Chartreuse, Orange Zest & Hawaiian Shores cardstock pieces. 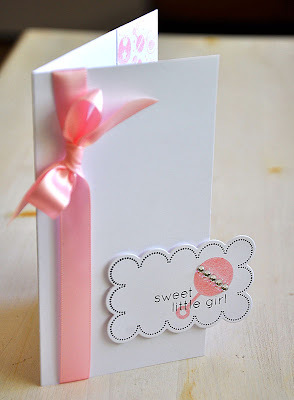 Simply attached the cardstock pieces to a cardstock strip then trimmed to the width of the card front. 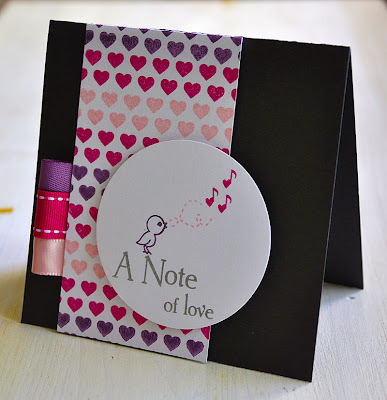 Next, heat embossed it with two of the heart background strips, from Background Builders: Hearts, with clear embossing powder. Then attached the strip to the white card base. 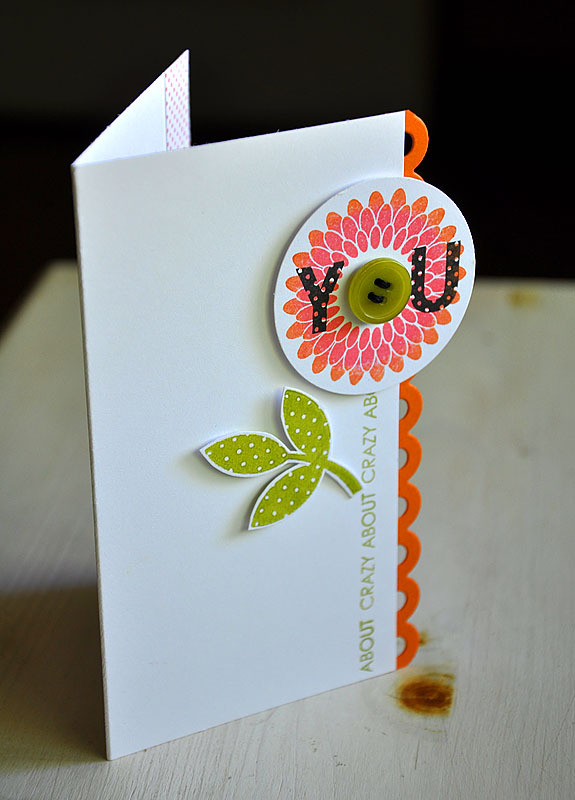 Then created the sentiment focal point, using a Fillable Frames #4 die cut. Stamped it with flower stems (in Spring Moss) and a sentiment (in Dark Chocolate), both are from The Birds & The Bees. Finished it off with a small Simply Chartreuse cardstock strip and Hawaiian Shores & Orange Zest buttons. So happy with the way this turned out, it really helps to have wonderful colors to work with! Things are looking pretty good around here on my little blog! My super talented friend and fellow Wplus9 design team member Hannah Craner has revamped the look of my blog and it looks amazing! So if you are reading this from your email or a Blog Reader, you should stop by and check it out. Let me know what think! If your interested in a fabulous blog update yourself, you can find Hannah's info here. Thanks for stopping by today! Hope you enjoyed! Hello friends! I am so happy to be joining this months Papertrey Ink countdown again! 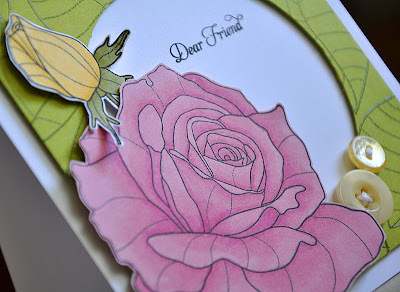 Today, i'll be sharing with you a preview of the next stamp set in the Year of Flowers series... Year Of Flowers: Roses. Which is available on the 15th. This set features a dramatic rose in all of it's glory. 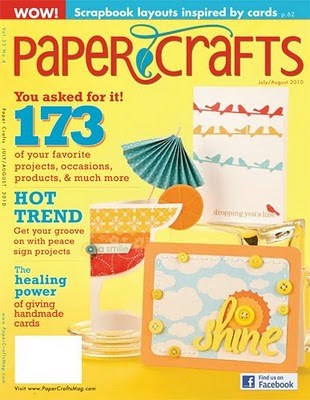 Your sure to enjoy the coloring or paper piecing opportunities with this set! This set is beautiful! But, through the projects I share with you today, I hope to show you just how versatile this set truly can be. This rose is so gorgeously detailed and looks amazing all on it's own. So, here is a simple number that really lets this blossom stand alone and shine... Stamped the rose in Sweet Blush onto a strip of white cardstock. Then trimmed the rose along one side to create a unique border. 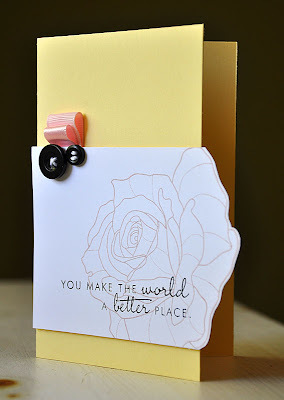 Layered the sentiment (in True Black) over the rose and then attached the strip to a Lemon Tart card base (which measures 5 1/2" X 3 1/2"). Finished it off with a couple ribbon tabs (Sweet Blush grosgrain & satin ribbon) and buttons. This set if full of versatility! The flowers and leaves pictured above are all of the pieces used on the card below. I took this shot to show you just how versatile the images in this set are. The large open rose image from this set gives you the option to include yet another rose into your projects. By using the large rose image I was able to cut out two different roses! 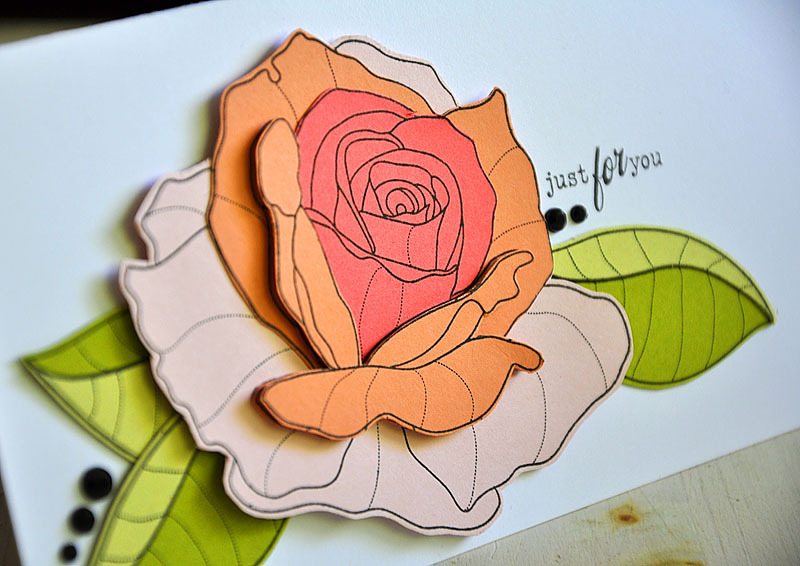 A larger open rose (cut from Pure Poppy cardstock) and a smaller open rose (cut from Terracotta Tile cardstock). 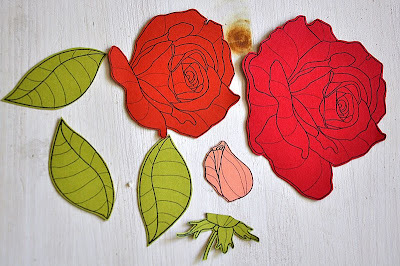 Once the pieces were cut, I stamped each rose and the rose bud in different background patterns. 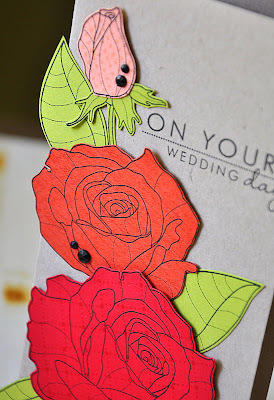 By using Versamark ink with Background Basics: Tin Type on the Pure Poppy rose, Background Basics: Text Style on the Terracotta Tile rose and Polka Dot Basics II on the rose bud. 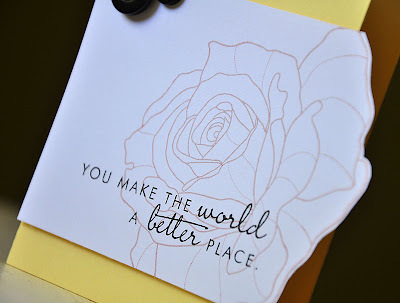 Then arranged them onto a kraft cardstock base and stamped a sentiment from the same Year Of Flowers: Roses set. Embellished each rose with a few black rhinestones. 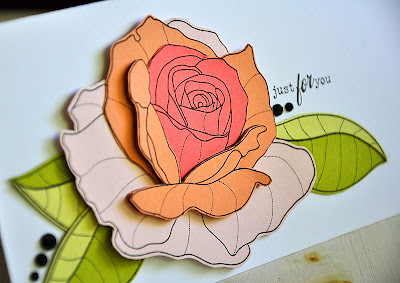 This rose looks perfectly pretty paper pieced as well! I am a huge fan of a gradient color schemes, I couldn't help but give it a try on this amazing rose image. So, I stamped and cut out layers from Sweet Blush, Melon Berry & Berry Sorbet cardstock and then layered them all together. I love how fun this rose turned out! Check out those fun paper pieced leaves as well (used Spring Moss & Simply Chartreuse cardstock). 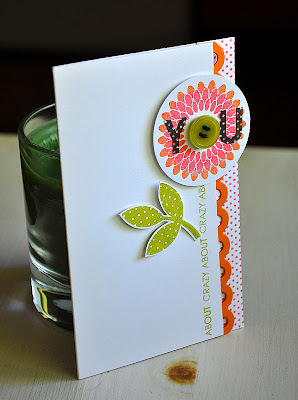 Finished off the card with some black rhinestones and a sentiment from Friendship Jar. Here's a Tip: One of my favorite things to do with my tiny sentiment is to tuck them into tight corners or right next to a focal image. These images are easy to color. I really mean it! If I can do it, then anyone can! Here's a tip: To make the coloring process a little easier, what I have done with this large rose is stamped it first onto colored cardstock (Lavender Moon) using Palette Noir ink and then colored and shaded using Copic Markers. Another fun use for this set is to use the leaf image to crate a hand stamped pattern paper. 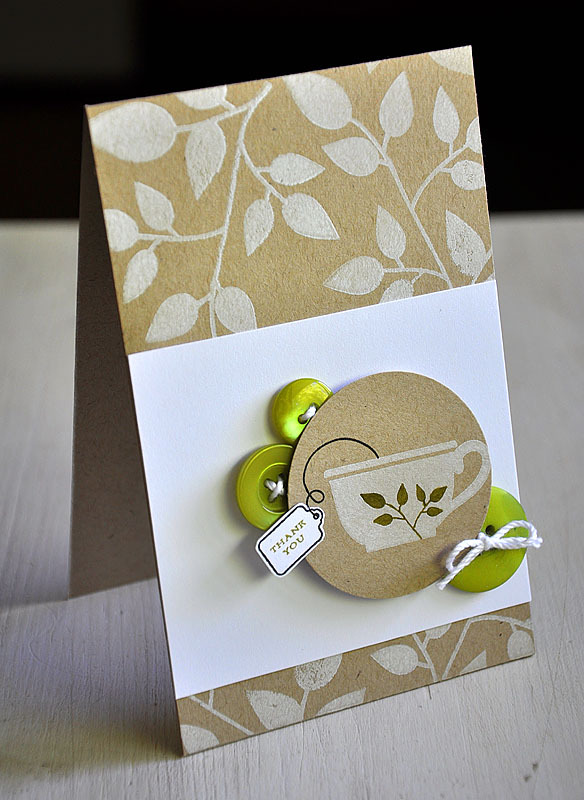 For this card, I've stamped and heat embossed the leaves onto Simply Chartreuse cardstock. Then balanced out the yellow rose on top with a couple Lemon Tart buttons and stamped a sentiment from Delightful Dahlia. I hope you all have enjoyed today projects! 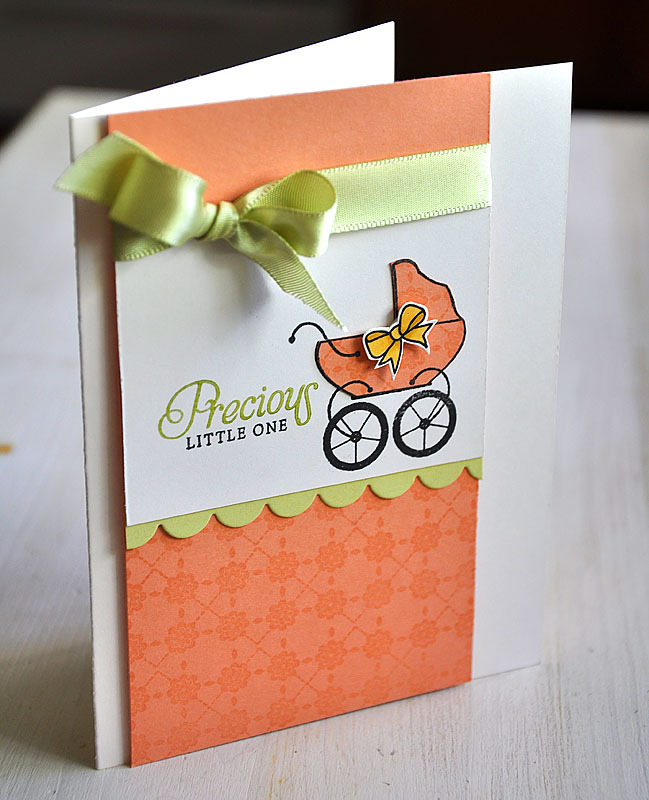 Now hop on by and see what the other designers have created for you today. 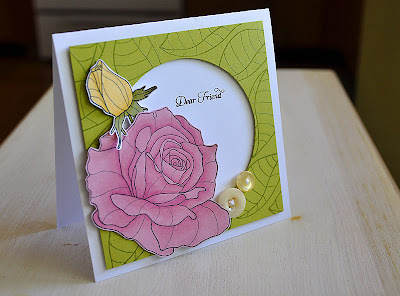 Nichole has more Year Of Flowers: Roses for you, Dawn is showcasing Tea For Two Additions, Lisa has some more Flutterby Friend, Heather has peeks of her three sets and Melissa has more All About You to share. Hope you all have a great start to your weeks! 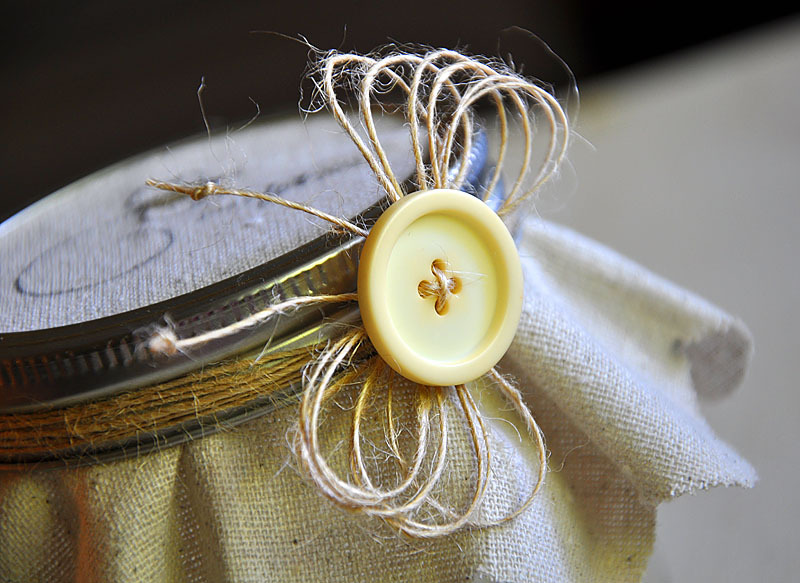 Accessories: Sweet Blush Grosgrain & Satin Ribbon, True Black Vintage Buttons & Crochet Twine. I love this time of the month, Papertrey Ink countdown! Today is the day that the design team has put together an assortment of fun ideas using the soon to be released stamp sets Friendship Jar & Friendship Jar Fillers. Illustrated by Nichole Heady and based off of concepts and sketches by Michelle Wooderson, these two talented ladies were able to come up with these wonderful coordinating sets that are loaded with fun and endless possibilities!!! For the invite, start out by stamping and coloring the bee (from All About You Additions, soon to be released as well) onto a kraft card base. Next die cut the jar from acetate, the lid and scallops from kraft cardstock and a label from white cardstock (using the coordinating dies). Stamp die cut accessories with coordinating images and the sentiment. 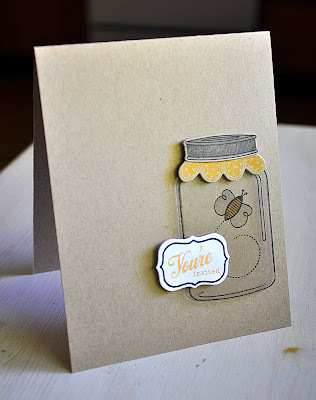 Here's a tip: I used Palette Noir ink when stamping the jar onto the acetate, which worked great. Just make sure to give it time to dry before handling. Assemble the jar and it's accessories together. 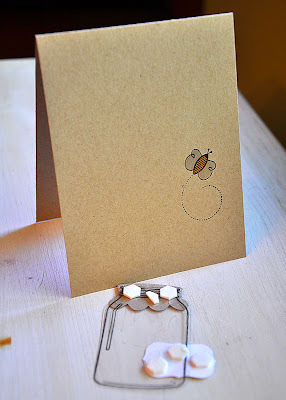 Place dimensional adhesive onto the back of the jar, making sure to hide it behind the cardstock accessories (as pictured above). Then adhere to the card base over the bee. 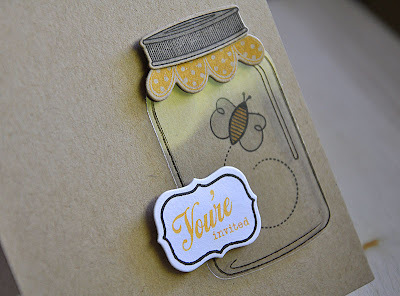 Which has been stamped with the bee (from All About You Additions) and "for you" (from Friendship Jar Additions) in Palette Noir ink and colored. 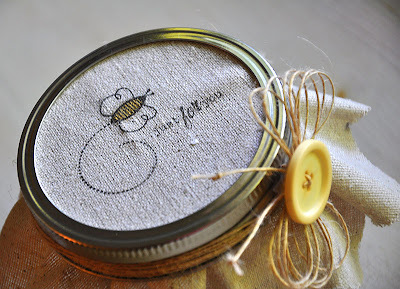 Wrap lid with twine. 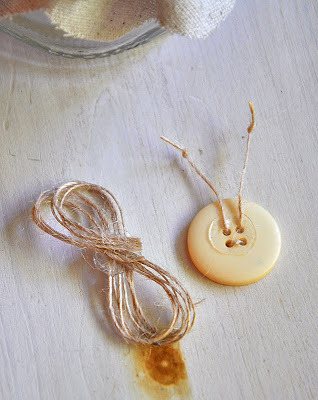 Attach a glue dot to the center of multiple twine strands. Loop one side and attach. Place another glue dot, loop other side and attach. 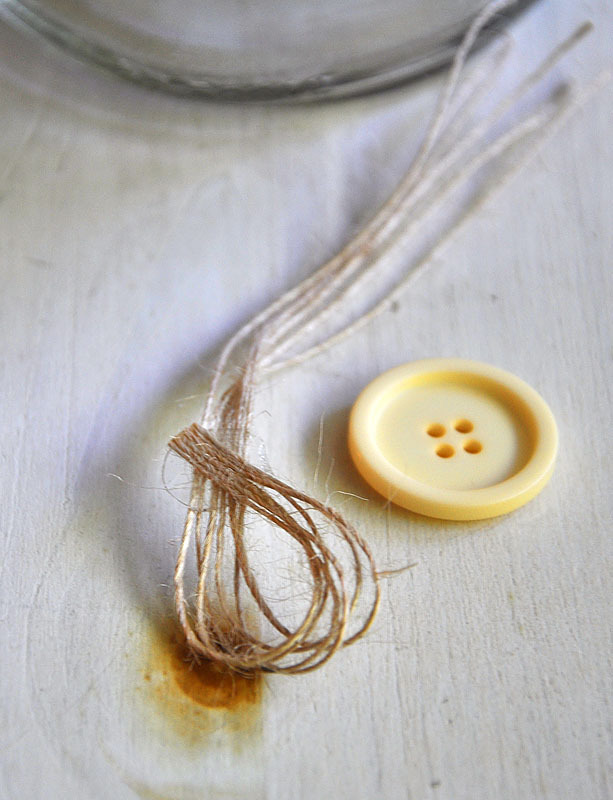 Thread button with twine antennas and adhere another glue dot to hold in place. 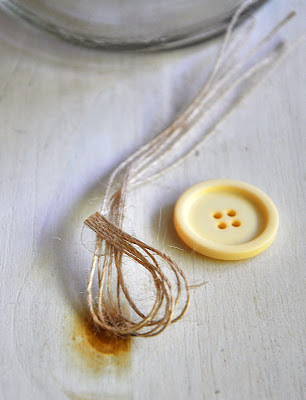 Top twine with the button to complete. Now attach it to your project! Wouldn't this little bee just look too cute as a pink buttoned butterfly or even attached to a card! Hope you all enjoyed today's project! Thanks for stopping by and have a wonderful and blessed Sunday!